– Assess the effectiveness of EU policies and of multilateral environmental agreements in responding to Arctic environmental challenges. – Strengthen international efforts to mitigate climate change and identify areas where support for adaptation to the effects of climate change needs to be provided, including the adaptive management of biodiversity. – Promote permanent dialogue with NGOs on the state of the environment in the Arctic region. – Coordinate efforts with Arctic states, territories and other stakeholders promoting high environmental standards. Enhance ecosystem-based marine management in the Arctic Ocean by sharing EU experience with the Arctic states. 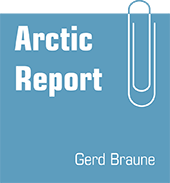 – Where strategies and projects of the EU affect the Arctic, take account of environmental impacts before decisions are made. Promote the use of impact assessments of projects, plans and programmes affecting the Arctic environment, including strategic environmental assessments, and share experience with the Arctic states. – Support screening and monitoring of chemicals in the Arctic. Step up efforts to reduce pollution of the Arctic by persistent organic pollutants, heavy metals and other contaminants, including those from land-based sources. Continue supporting the destruction of stocks of harmful chemicals and the reduction of the risk of radioactive release in the Arctic. – Pursue cooperation on prevention, preparedness and disaster response. The Commission’s Monitoring and Information Centre can contribute to enhancing EU disaster response capacity in the Arctic. The Commission will support concluding an agreement on emergency prevention and response in the Barents Euro-Arctic Council (BEAC). – Strengthen cooperation on improving primary energy savings, energy efficiency and the use of renewable energies in the Arctic. – Contribute to assessing the impact on marine mammals of increased acoustic noise generated by human activities. – Engage Arctic indigenous peoples in a regular dialogue. – Provide opportunities for self-driven development and the protection of their lifestyle. – Support in particular the organisations and activities of the Saami and of other peoples of the European Arctic, inter alia under regional and cross-border programmes. Promote Northern European know-how in reindeer husbandry. – Continue efforts ensuring effective protection of whales especially within the framework of the International Whaling Commission (IWC), including in the Arctic context. Support proposals for the management of indigenous subsistence whaling, provided that conservation is not compromised, whaling operations are properly regulated and catches remain within the scope of documented and recognised subsistence needs. – Conduct dialogues with indigenous and other local communities traditionally engaged in the hunting of seals. – The Community is currently considering banning the placing on the market, import, transit and export of seal products. However, this should not adversely affect the fundamental economic and social interests of indigenous communities traditionally engaged in the hunting of seals. Under the terms of the Proposal for a Regulation of the European Parliament and of the Council concerning trade in seal products, seal products resulting from hunts traditionally conducted by Inuit communities which contribute to their subsistence are exempted. The proposal also foresees that trade is allowed in other cases where certain requirements are met regarding the manner and method whereby seals are killed and skinned. The Commission’s dialogue with the indigenous communities concerned will aim to facilitate the practical implementation of these provisions. – Develop further research programmes dealing with sea-level rise, loss of sea ice and melting permafrost as well as related feedbacks leading to accelerated warming and having other anthropogenic impacts on the Arctic ecosystems. – Assess the state and evolution of the Arctic environment in order to contribute to the formulation of appropriate EU policies. – Create new research infrastructure and enhance monitoring and surveillance capabilities. Contribute to the completion of the Aurora Borealis research icebreaker project. – Coordinate efforts in different research areas relevant to the Arctic such as environment, transport, health and energy, as well as develop Arctic technologies. – Ensure continuity in space measurements via GMES . Support long-term measurements and reporting of marine data through the European Marine Observation and Data Network. Contribute to establishing the Arctic component of Global Earth Observing System of Systems. – Develop enhanced, broad international information exchange on research projects and facilitate coordination of national programmes. Thus the EU should contribute to supporting the establishment of the Sustained Arctic Observing Network. – Ensure open access to information from Arctic monitoring and research based on the principle of the Shared Environmental Information System. Facilitate and support outreach to the broader public. – Work to strengthen the foundations for long-term cooperation, particularly with Norway and the Russian Federation, facilitating the sustainable and environmentally friendly exploration, extraction and transportation of Arctic hydrocarbon resources. As elsewhere, the guiding principles will be a level playing field and reciprocal market access. – Encourage the observance of the highest possible environmental standards. Press for the introduction of binding international standards, building inter alia on the guidelines of the Arctic Council and relevant international conventions. – Promote further research and development in offshore technology and infrastructures. Build on experience accumulated in European industry in offshore oil and gas exploitation. Facilitate further research and innovation as emphasis shifts to even harsher climates and deeper waters. – Encourage the growth of maritime clusters where universities and research centres can provide trained staff and research facilities to smaller companies. Much of the innovation will be driven by small and medium-sized enterprises in regional clusters. – Assess possibilities of endorsing the guidelines for oil and gas exploitation drafted by the Arctic Council. – Put in place a regulatory framework for the part of the Arctic high seas not yet covered by an international conservation and management regime before new fishing opportunities arise. This will prevent fisheries developing in a regulatory vacuum, and will ensure fair and transparent management of fisheries in accordance with the Code of Conduct for Responsible Fishing. In principle, extending the mandate of existing management organisations such as NEAFC is preferable to creating new ones. Until a conservation and management regime is in place for the areas not yet covered by such a regime, no new fisheries should commence. – Promote the full implementation of existing obligations concerning navigation rules, maritime safety, routes system and environmental standards in the Arctic, in particular those under the International Maritime Organisation (IMO). – Stress the need to avoid discriminatory practices (in particular in terms of fees, obligatory services, regulations) by any of the Arctic coastal states towards third countries’ merchant ships. – Improve maritime surveillance capabilities in the far North. The Commission together with the European Space Agency is exploring a polar-orbiting satellite system that can pick up signals from anywhere on the globe. If successful, this would allow better knowledge of ship traffic and faster reactions to emergencies. The Galileo satellite navigation system will also play an important role in the Arctic for better and safer navigation, maritime surveillance and emergency response. – Within the applicable rules of competition law, maintain the competitive lead of European shipyards in developing technology required for Arctic conditions. The potential to provide specially-designed, environment-friendly ships, including ice-breakers, is an important asset for the future. – Explore support for designating some Arctic navigation routes as particularly sensitive sea areas under IMO rules, if proposed by any of the Arctic coastal states. – Support any further work to enhance IMO environmental and safety standards applicable to Arctic waters. – Support increasing the safety of cruise ships, better guiding, restriction of access to highly vulnerable areas. – Encourage environmentally friendly tourism, involving local communities. – The full implementation of already existing obligations, rather than proposing new legal instruments should be advocated. This however should not preclude work on further developing some of the frameworks, adapting them to new conditions or Arctic specificities. – The EU should promote broad dialogue and negotiated solutions and not support arrangements which exclude any of the Arctic EU Member States or Arctic EEA EFTA countries. – Arctic considerations should be integrated into wider EU policies and negotiations. – Assess the effectiveness of Arctic-relevant multilateral agreements to determine whether additional initiatives or measures are needed. Closely follow the processes of maritime delimitation and of the establishment of the outer limits of the continental shelves to assess their impacts on EU interests. – Explore the possibility of establishing new, multi-sector frameworks for integrated ecosystem management. This could include the establishment of a network of marine protected areas, navigational measures and rules for ensuring the sustainable exploitation of minerals. – Enhance input to the Arctic Council in accordance with the Community’s role and potential. As a first step, the Commission will apply for permanent observer status in the Arctic Council. – Suggest that Northern Dimension partners hold regular discussions about Arctic issues and examine possibilities for projects under the Northern Dimension Environmental Partnership to cover wider areas in the European Arctic. Efforts in the area of energy efficiency and under new Northern Dimension partnerships will have great relevance for Arctic cooperation. – Launch a reflection on possibilities for further development of Arctic-related cross-border cooperation and regional programmes to enhance cooperation with the Arctic states. – Explore all possibilities at international level to promote measures for protecting marine biodiversity in areas beyond national jurisdiction, including through the pursuit of an UNCLOS Implementing Agreement. – Work towards the successful conclusion of international negotiations on marine protected areas on the high seas. – Discuss with Norway and Iceland how the Marine Strategy Framework Directive will be integrated into the EEA Agreement and thus apply to a part of the Arctic Ocean. – Include Arctic matters in future high-level dialogue meetings on maritime affairs. – Provide an overview of all the EU’s relevant Arctic-related activities on the thematic web-site on Maritime Affairs, and promote dialogue with stakeholders on these activities. – Explore — together with the Nordic countries — possibilities for creating a European Arctic Information Centre. – Establish closer links with Arctic education networks. – Enhance Arctic-related cooperation with Greenland. Additional efforts should be envisaged to make the EU an even more important partner for Greenland in managing its fragile environment and the challenges confronting its population.